The Vinyl Paw Print Deluxe Package comes with one of each set of paw prints. 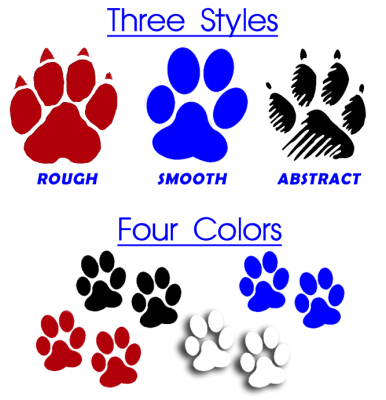 Stick these fun vinyl paw print decals on any smooth surface: on your car, truck, boat, house, wheelchair, be creative! This package comes with all 6 sizes!